The current treatment of hypothyroidism is superficial and unsatisfactory. Patients continue to suffer from the symptoms of hypothyroidism despite taking thyroid pills. Even worse, there is no treatment for Hashimoto's thyroiditis, the root cause of hypothyroidism in a large number of patients. 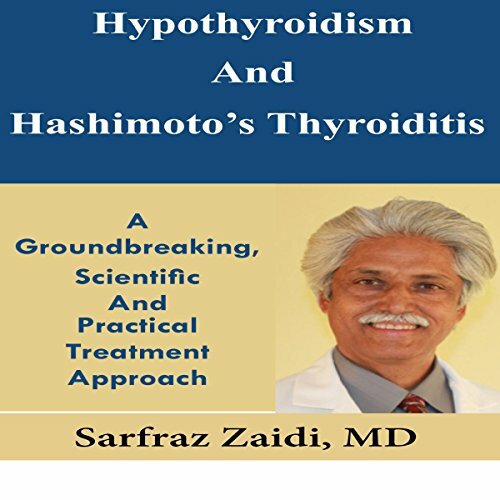 Dr. Sarfraz Zaidi, a former assistant clinical professor of medicine at UCLA and a leading endocrinologist in the USA, has made a breakthrough discovery about the real cause of Hashimoto's thyroiditis and how to effectively treat it. He has also made new insights into the causes of hypothyroidism. Based on these groundbreaking discoveries, he has developed a revolutionary approach to treat hypothyroidism and cure Hashimoto's thyroiditis. Loved the book, but wish they would record it again with better quality. The sound quality is poor.